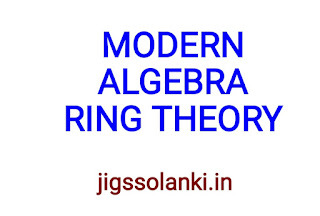 In mathematics, a ring is one of the fundamental algebraic structures used in abstract algebra. It consists of a set equipped with two binary operations that generalize the arithmetic operations of addition and multiplication. Through this generalization, theorems from arithmetic are extended to non-numerical objects such as polynomials, series, matrices and functions. 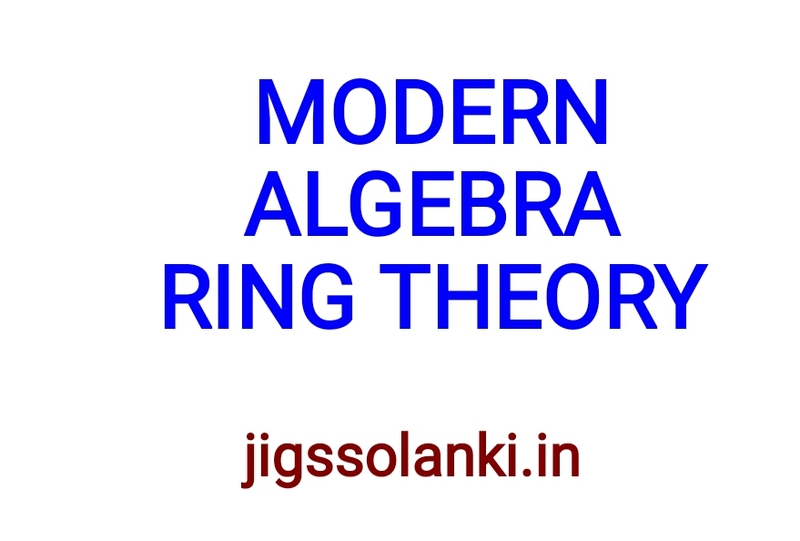 A ring is an abelian group with a second binary operation that is associative, is distributive over the abelian group operation, and has an identity element. By extension from the integers, the abelian group operation is called addition and the second binary operation is called multiplication. Whether a ring is commutative or not (i.e., whether the order in which two elements are multiplied changes the result or not) has profound implications on its behavior as an abstract object. As a result, commutative ring theory, commonly known as commutative algebra, is a key topic in ring theory. Its development has been greatly influenced by problems and ideas occurring naturally in algebraic number theory and algebraic geometry. Examples of commutative rings include the set of integers equipped with the addition and multiplication operations, the set of polynomials equipped with the addition and multiplication of functions, the coordinate ring of an affine algebraic variety, and the ring of integers of a number field. Examples of noncommutative rings include the ring of n × n real square matrices with n ≥ 2, group rings in representation theory, operator algebras in functional analysis, rings of differential operators in the theory of differential operators, and the cohomology ring of a topological space in topology. Hello. This post couldn't be written much better! Scanning this post reminds me of my earlier room partner. He always placed chatting relating to this. I will forwards this site to him. Pretty certain he'll have a good read. Many thanks for sharing. Thanks for the best information about Modern Algebra these are the best information provided to us.